The number of women working in the UK has steadily increased over the past 20 years, but only a small proportion work in skilled trades. We talked to some of our female Which? Trusted traders to find out more. The number of women in the labour market has been rising steadily since the 1970s. Now, government statistics show that around three quarters of UK women are either working or looking for work. But of these, less than 5% work in skilled trades, such as electrics, plumbing, plastering and the motor industry. Depending on the trade, men will outnumber women in these areas by at least ten to one. At the same time there's a big demand for female traders. 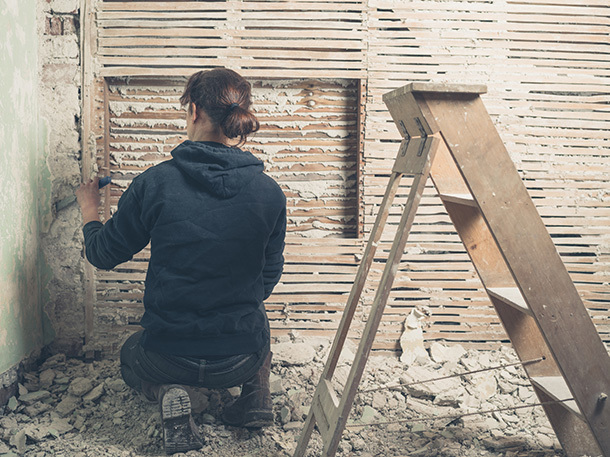 A 2018 survey by the Federation of Master Builders found more than a third of Londoners would prefer a female tradesperson. But at the same time, a third fewer Londoners would encourage their daughters to pursue a career in construction than their sons. Find out why Which? Trusted traders love their jobs, or read on for more about women working in traditionally male trades. So what is it that’s putting women off? Rachel Gilbert, electrician at R2D Electricals, said: ‘Potentially it’s because it’s so hands-on, you’ve got to get stuck in, but I don’t see an issue with that at all.’ Dawn agreed that for her, the practical, hands-on nature of the work is something she really enjoys. It may be that times are changing across the board. Increasing numbers of women are taking up apprenticeships and, although their numbers are still small, some media outlets are already reporting on the rise of ‘white-van woman’. Trade associations are responding to skills shortages by focusing on getting more women into their sectors. The National Inspection Council for Electrical Installation Contracting (NICEIC) aims to promote jobs for young women in the electrical industry with its Jobs for the Girls campaign. Women in Plumbing was set up in 2002 as a support network for women in the industry, and Watersafe runs a Get Girls Plumbing campaign offering support to women wanting to enter the industry. It can feel daunting to go into a very male-dominated career. As Emma says, ‘You’re not always welcome or judged to be capable. You have to prove yourself more than a bloke would – that can put women off.’ But as she points out, female-run companies like Van Girls make it a bit easier. And as her experience bears out, the demand is certainly there. A 2018 survey by the Federation of Master Builders found 53% of Londoners were gender-blind when it came to employing a tradesperson - they didn't mind either way. But at the same time 61% of people polled felt that a female trader was more likely to be respectful of their property and a third would actively prefer to employ a female tradesperson. But there is some way to go. Research by trade associations showed that only one in every 1,000 electrical contractors is female. Plasterers and plumbers do slightly better, with 1% being female. 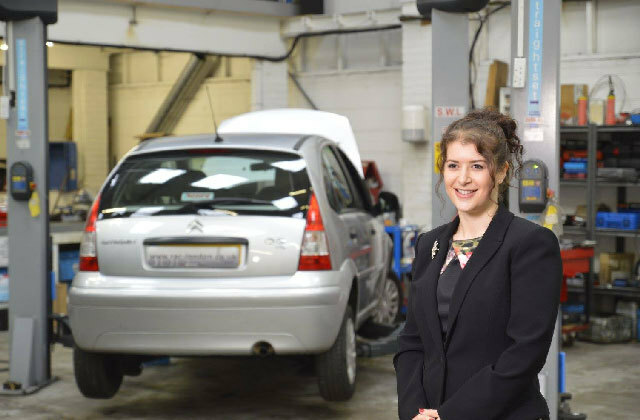 Women make up a comparatively huge 2% of the motor trade – but with fewer of them being in technical roles. 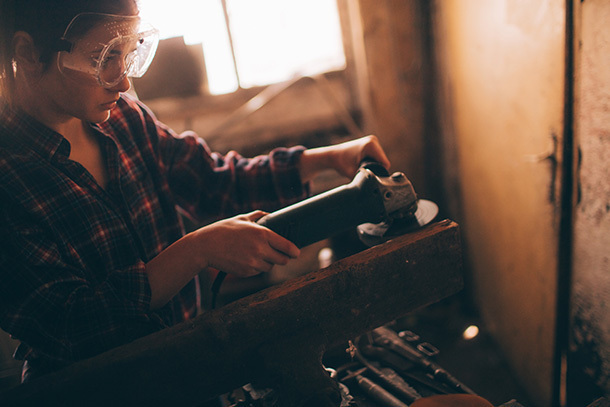 There’s little doubt that more women will need to go into manual trades if the UK is to avoid skills shortages in the future. At least the next generation can already see our female Which? Trusted traders showing that it’s not just a man’s world - there’s room for women here, too.